Looking for War and Order Cheats? We can understand. War and Order is a very fun game but the game can become expensive very quickly. Gems are very important in the game but they’re hard to come by unless you’re willing to spend a lot of money. For that reason there are a lot of people wondering if they can obtain free gems through the use of hacks for War and Order. But do any of these hacks really work? Can you really enter your username into a generator and obtain an unlimited amount of gems for free? Let’s find out. War and Order was released in 2016 by Camel Games. It’s a free to play strategy game and it’s become quite popular over the years. The game has millions of players on Android and iOS. In War and Order, you pretty much NEED Gems to keep up with others. However, due to the fact that they’re so expensive for most people it’s not feasible to keep buying them. When people look for alternative options of obtaining free gems they often find websites that offer hacks. But how do you find out if these hacks really work? Usually the only way to find out is by testing them all out. But no longer. In today’s post we’re going to test every single War and Order hack to find out if any of them actually work. That way you don’t have to spend all this time yourself. 1 So, do any cheats or hacks for War and Order really work? 3 What about cheat codes? So, do any cheats or hacks for War and Order really work? Unfortunately, if you’re trying to find a working hack for War and Order hack then we have to disappoint you. They don’t exist. While there are plenty of websites that claim to have a working generator, we found out by testing them that none of them give you any free gems at all. They simply do not work. After testing every single one of them we received a grand total of 0 gems. This is what the hacks usually look like. Seems legit right, unfortunately they do NOT work! As you can see in the screenshot we took of this generator, it claims that you can simply enter your username and generate 999,999 gems with the click of a button. Of course, this would be great if it actually works. However, it’s simply too good to be true. If it really was that simple to obtain almost a million gems for free then nobody would buy any gems any more! Do not let sites like this fool you, they might promise that they’ll work, but we have proven that none of them will actually give you any free gems. Don’t waste your time. However, it is possible to obtain free gems in War and Order. Curious how? Keep reading and we’ll give you the details. While hacks for War and Order do not work, it is very possible to obtain free gems in War and Order. We’ve discovered a very good method of obtaining free gems in War and Order that’s completely legitimate and actually works. Of course, because this is a working method it’ll take you a bit more time than pressing a couple of buttons on a generator. But at least this technique really works. And while it might take a bit more time than using a generator, it’s still very quick and super easy to do. In order to explain the method to you we decided to write a guide. In this guide we’ll show you the exact steps and all the information you need to start obtaining free gems. This method is insanely powerful and most people who play War and Order have no clue that this method exists. By simply following the steps in the guide you can obtain all the gems you need in no time. 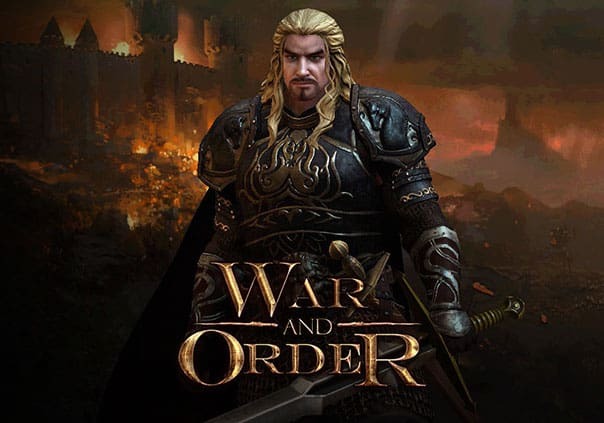 Our method works on both the Android and iPhone version of War and Order, so players on both platforms can take advantage of it. Furthermore, it doesn’t require any jailbreaking or rooting. In fact, no technological knowledge is required at all! Click the blue button below to access our guide and learn more about the only working method of obtaining free gems in War and Order. If you’ve been looking for a way to get free gems for a while then you might have come across websites that offer cheat codes. You might think that these cheat codes look pretty legit because at first glance they do. However, if you look closer on these sites you’ll quickly realize that they fail to mention one crucial thing: how to enter these cheat codes. The reason why they don’t tell you how to enter the cheat codes is simple: you can’t. There’s no way to enter cheat codes in War and Order so these cheat codes are completely pointless. To sum it all up, War and Order is a great game especially when you have a lot of gems available. However, because these gems are expensive many people want to find a method to get them for free. Oftentimes these people try to use cheat codes, generators or hacks. However, upon testing all these methods we discovered that they simple do not work. However, we do know an amazing method of obtaining free gems that we’ve shared with you in our guide. Hopefully this information was useful, and our guide will help you obtain the gems you need. Any question, suggestions or tips? Feel free to leave a comments and we’ll get back to you.